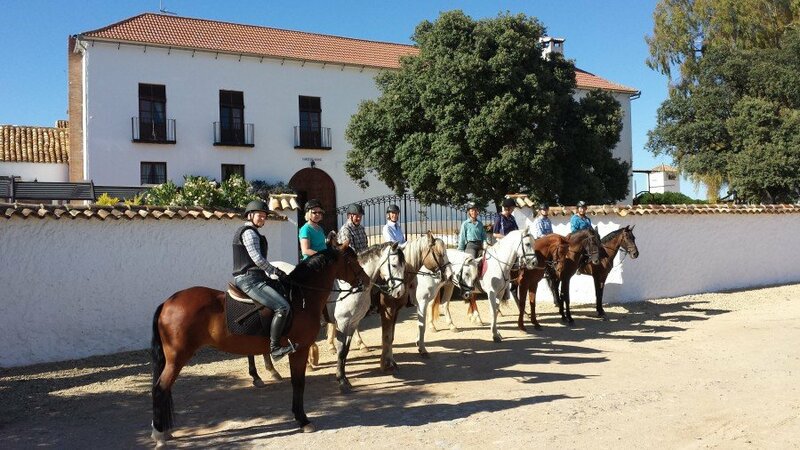 Hacienda Horses is very well suited to large groups of guests. We take a maximum of 14 guests and we have 30 horses of all shapes, sizes and abilities to suit a vast range of riders. We have 5 members of staff who are extremely experienced in hacking and lessons. On the first day we would assess the guests and split into ability and ‘wanting to ‘groups. This would mean that riders, who would be assessed as a canter group person, could if they wanted to; go in a walk trot group with a friend for the morning hacks and then possibly take a higher level training class in the afternoon. With this flexibility and staff levels we find that we can fulfill the needs and expectations of groups of clients very well. For hacks we would allocate 1 guide to 5 to 6 guests. We could for example if we take out 10 guests on a walk trot hack, 2 guides would go with them. Guests must remember the more in the group the slower the hacks will be for the sake of health and safety. From an accommodation perspective Hacienda Horses is very well suited to the needs of groups, with a selection of tastefully decorated apartments from studio suits for 1 to 2 persons to our largest apartment Swallows which has 3 en-suite bedrooms and will take up to 5 people. On a full weeks holiday guests will go on, one picnic ride, one bar hack and in 2016 our new hack will be to a nearby Finca for lunch, with this last option we would offer a full day of hacking if guests wanted to. The rest of the week will be riding the vines, olives and pines in the area, with some stunning views and breathtaking photo opportunities. 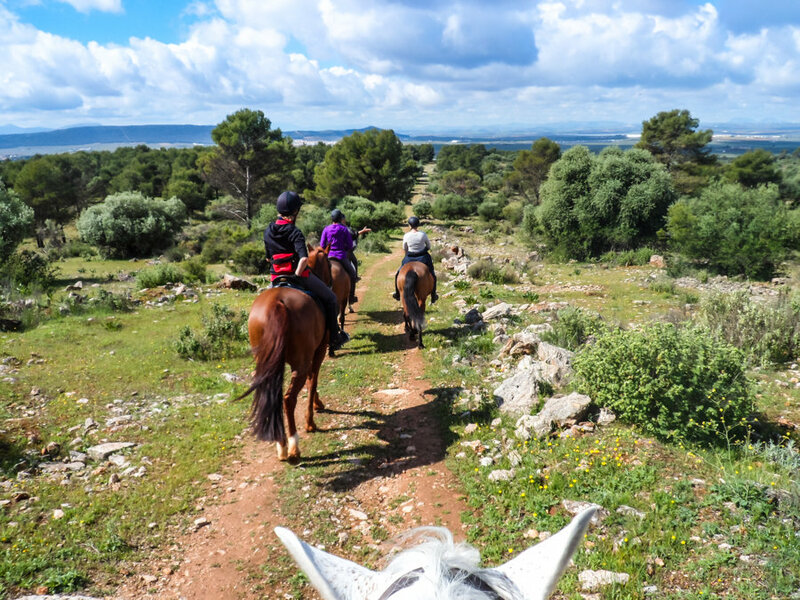 Groups can also plan a day out in Cordoba to visit the Mesquite, the highlight of the day for riders will be the visit to the Kings Place and the equestrian show, something definitely not to be missed. So for that special get together with family or friends book your group holiday with Hacienda Horses.